Please make sure the address is correct before confirming. Orders are generally processed within a day or two, depending on time of day and volume, and will be shipped out of Virginia via USPS. 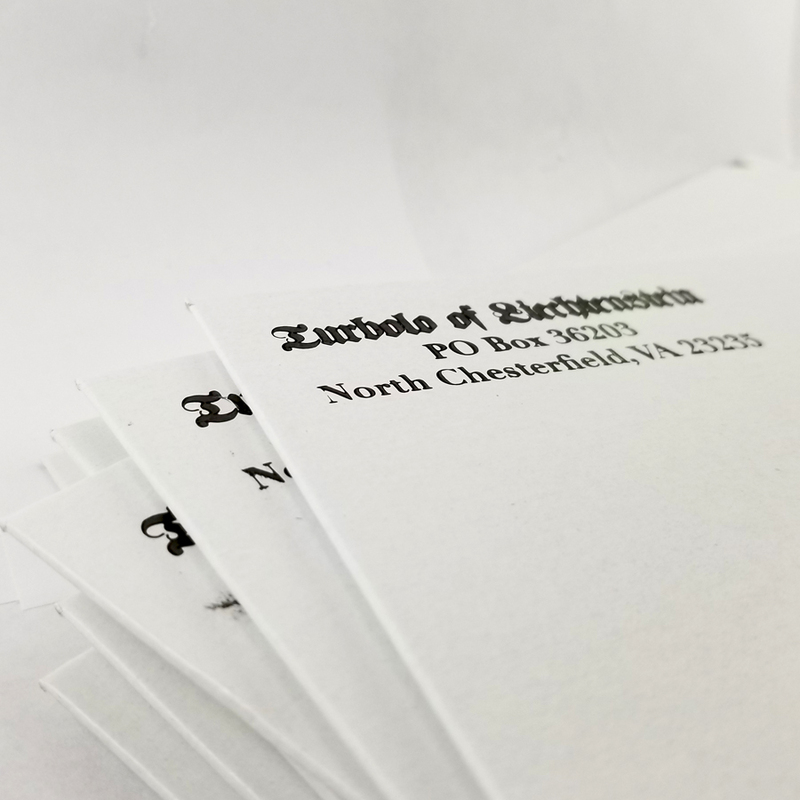 We use rigid mailers in order to avoid bending, so no need to worry. There’s nothing lewd or otherwise awkward on the outside. Domestic orders may take 2-7 days. International orders may take 1-3 weeks. There is no tracking available for regular orders, and we are not responsible for delivery. If an order does not arrive over the course of a month, or is otherwise damaged, please let us know and we’ll figure something out.